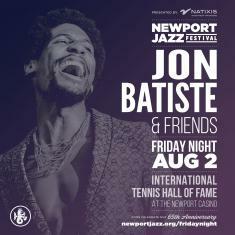 NEWPORT, RI, March 27, 2019 - Don't miss the opportunity to get some of the best seats in the house for one of Newport's most popular summer events featuring Jon Batiste & Friends at the Friday evening concert of the Newport Jazz Festival® presented by Natixis Investment Managers. 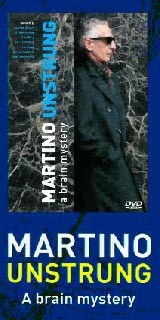 The concert takes place August 2 at the International Tennis Hall of Fame at the Newport Casino, 194 Bellevue Avenue. The cocktail party begins at 6:30 pm, followed by the concert at 8:00 pm. All tickets for the Friday evening concert and cocktail party go on sale worldwide today, Thursday, March 27, at 10:00 am EDT. The concert is a reserved seating event and tickets sell out quickly. There is a six-ticket limit per household. Tickets for the concert and cocktail party will be available on the Festival web site at http://newportjazz.org/it.... Service charges apply to all tickets ordered on line. "Jon Batiste is always the life of the party. In fact, he's a party all by himself, but watch the musical magic happen when he and his friends sing, dance and play their way around the Tennis Hall of Fame this summer," said George Wein, Festival Founder and Chairman of the Board of Newport Festivals Foundation. "A Newport Jazz and Folk Festival favorite, Jon raises the bar for a fabulous evening of entertainment." The Newport Jazz Festival Friday evening cocktail party on the Horseshoe Piazza welcomes a limited number of attendees for pre-concert socializing with music, food and beverages. Tickets include open bar and hors d'oeuvres. Tickets are limited and exclusively for concertgoers. Party attendees must purchase a separate ticket to the Festival concert.